Kurdpa Agency: A Kurdish political prisoner from Sarvabad, Sanandaj, has been on hunger strike in protest of his inappropriate condition at the Fshafvyh Prison. According to a report from the Kurdistan Press Agency, on Thursday 14th of March, a Kurdish political prisoner named Barzan Mohammadi, 41, from Sarvabad, Sanandaj, along with another prisoner, Alireza Shiremohammadi, they went on hunger strike because of thier inappropriate conditions in Fshafvyh Prison. 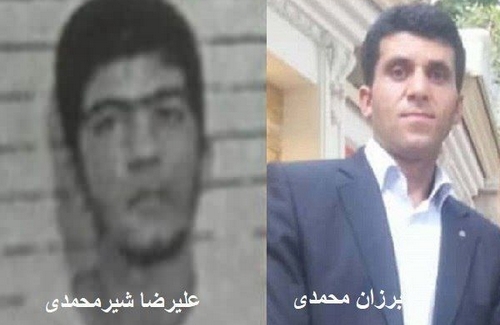 Today's Sunday, March 17th, the hunger strike of these two prisoners is on its fourth day. Barzan Mohammadi was arrested during the general protests in August of this year due to "activities in cyberspace" and was sentenced to six years imprisonment in the Inferior Court for "collusion and assembly to endanger the national security," and "propaganda against the regime".